Everybody knows Valentine’s Day falls in February, but did you realize February has also been set aside as National Weddings Month and Creative Romance Month? To celebrate, I think a short quiz is in order. 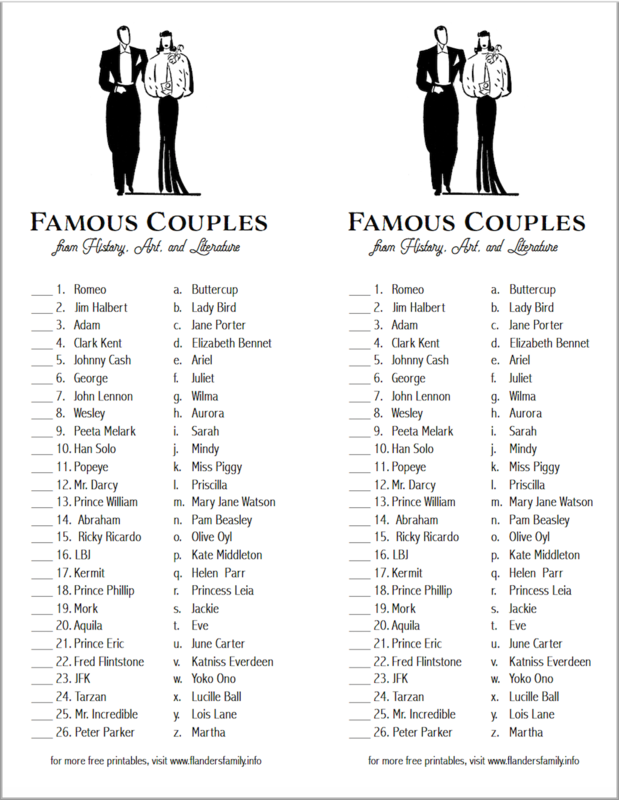 How many of these famous couples can you correctly pair together? I designed this quiz for a Valentine Brunch I’m hosting next week (no fair peeking in advance if you received an invite! 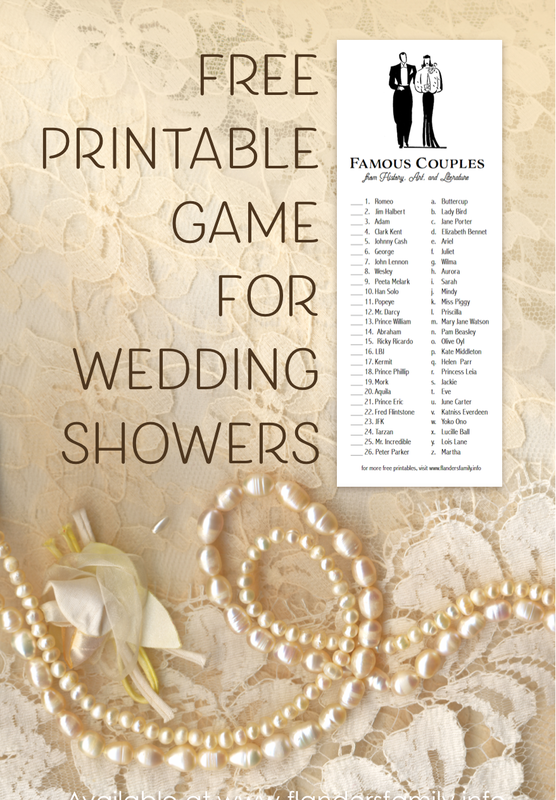 ), but it would also make a great game to play at bridal showers or other wedding events. So test your skill. If you get stumped, you can find the answer key on page 2 of the printable PDF. Would you be able to correct the spelling of John Lennon? Thanks! Ugh. I can’t believe I misspelled that! I should have had my husband proofread this one before I posted it. He would have caught that typo, for sure. So glad you spotted it right away and wrote to let me know about it, Gramma. I’ve corrected all the faulty files now, so you can print an updated (and hopefully error-free) list whenever you’re ready. Thank you! 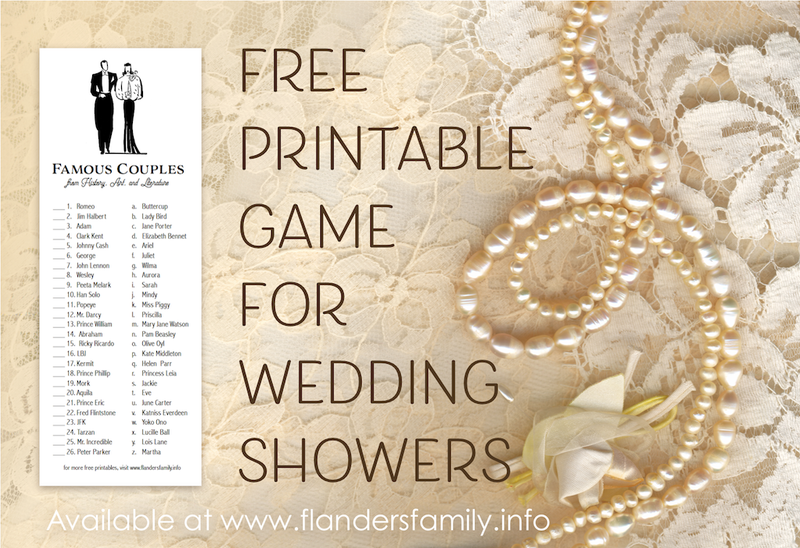 This will be great for a wedding shower!